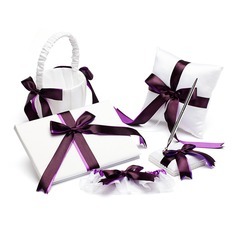 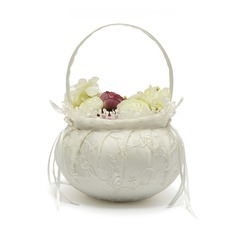 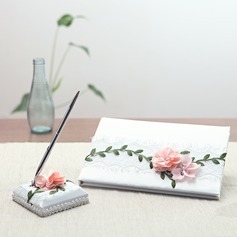 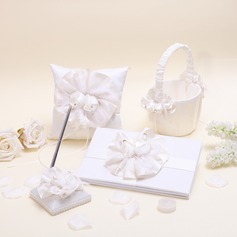 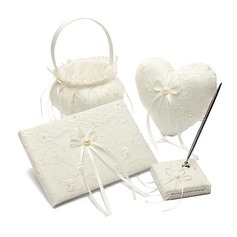 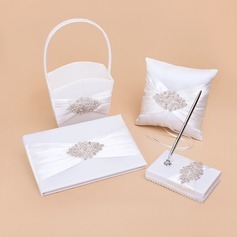 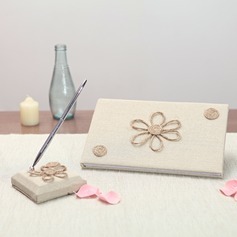 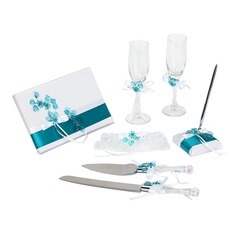 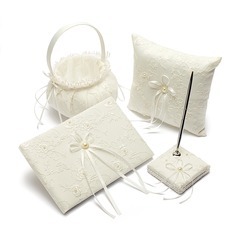 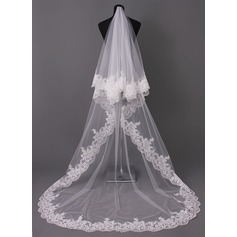 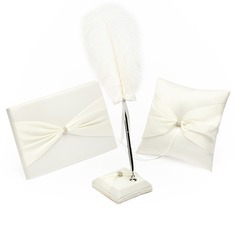 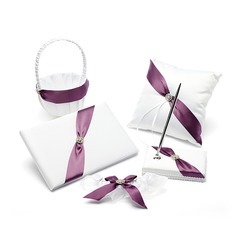 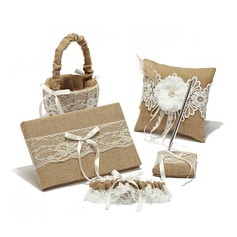 I have received the collection set, which includes ring pillow, pen set, guest book, flower basket. 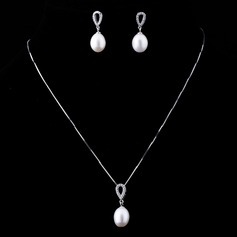 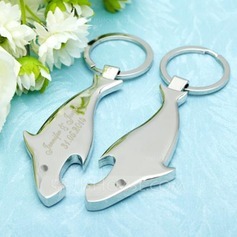 They are precisely what I want. 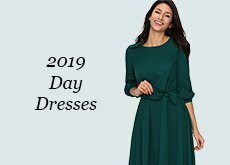 Shipping is fast, I got them earlier than expected. Thank you.